The project wizard allows you to create the robust project activities necessary for effective project-based learning (PBL). Start date and End dates. Automatically include discussion, blog, wiki, journal, and/or peer assessment activities in the project. 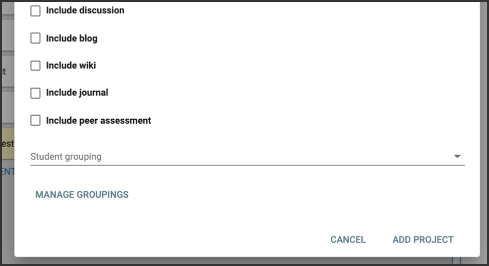 Use existing Student grouping from the dropdown, or Add, Clone, and/or Edit groups. Click Add project to save create the project. 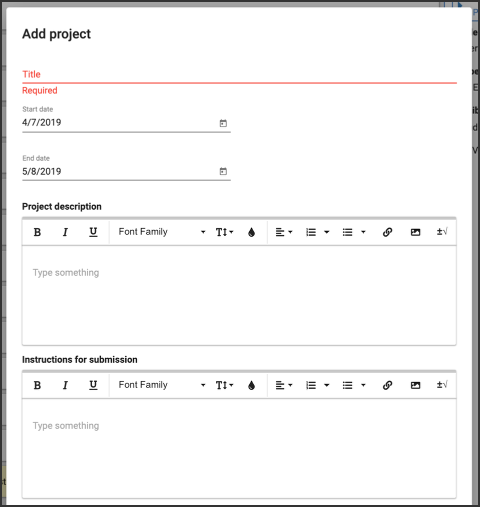 To edit the project, open the Editor > Projects screen and select the project to open its activity editor. To promote a more effective experience, align each of the components of a project with course objectives. Buzz lets you easily create and manage groups to enhance your students’ experiences completing projects. Additional activities can be added to a project folder after creation. 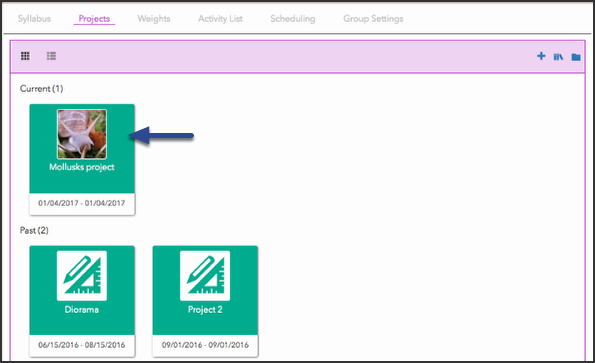 Each activity in a project folder can be customized (i.e., different due dates).